The agency has won two Gold metals in the Single Execution Category for the campaigns 'Smile To Be Surprised' and 'Slide Of Smiles' for Britannia Industries'; it has bagged the third Gold for the IDBI Federal Life Insurance campaign 'IDBI Angry Baby Hunt' in the Multiple Execution Category. 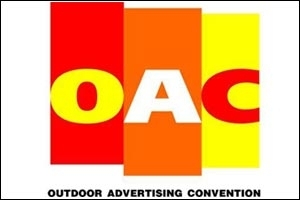 The annual Outdoor Advertising Convention (OAC), an expo, convention, and awards event for the OOH (Out-of-Home) advertising industry, was held on June 17 and 18 at the Hyatt Regency in Gurgaon this year. The two-day event recognised the efforts of various global and Indian OOH media owners, specialist OOH agencies, brand marketers, civic authorities, media and materials suppliers, printers, senior OOH industry professionals, and new entrants in the industry by awarding them Gold, Silver and Bronze metals at the Outdoor Advertising Awards 2016. The winners were awarded across the categories of Single Execution, Multiple Execution, Special, International, and Media Owners' Special Category. These were further divided into various sub-categories. The Social Street, a marketing communications agency, launched last year by Pratap Bose, former chief operating officer, DDB Mudra Group, bagged three Golds of which it has won two Golds for Britannia Industries' campaigns 'Smile To Be Surprised' and 'Slide Of Smiles', in the Single Execution Category. It also bagged the third Gold for IDBI Federal Life Insurance's campaign 'IDBI Angry Baby Hunt' in the Multiple Execution Category. Madison OOH, the outdoor arm of Madison World, followed a close second with two Golds for Blue Star AC's 'Nobody Cools Better, says Blue Star', and 'Eeny Meeny Miny Moe, Get Ready To Play With Oreo' campaigns. The other agencies which won one Gold each at the Outdoor Advertising Awards 2016 include Rapport Outdoor Advertising for Amazon.in's outdoor campaign 'Amazon Wi-Fi at Bus Shelters', Kinetic Advertising India's campaign #ItJustKnows (Audi A6) for the automotive company Audi India, Cadbury Bubbly Mall Activation for Cadbury by Orienta and Kinetic Advertising India, Laqshya Media Group's outdoor activation for Capgemini titled 'Waste Management - Recycling Waste', and Atin Promotions and Advertising's OOH campaign for Life Insurance Corporation of India (LIC). A Gold each was also won by TIMDAA, a leading Delhi Airport advertising agency for the outdoor campaign for the oil and gas company TOTAL, Prakash Arts' OOH campaign for mobile network provider Airtel, Jaycee Ads for its campaign for the smartphone brand Oppo, Macromedia Digital Imaging for the sportswear brand adidas, Printech Digital Imaging for its outdoor campaign, and Star Cement for its outdoor activation during Durga Puja. Milestone Brandcom, an OOH agency launched by Nabendu Bhattacharya in 2009, won a total of seven Silvers, the highest by any agency at the Outdoor Advertising Awards 2016. The agency was awarded for its campaigns 'Telenor - A Memorable Branding' for mobile service provider Telenor, Axis Bank's campaign 'Axis Asha Home Loans', 'No Argument Furniture' for the online furniture and home marketplace Pepperfry, Ola Cabs' campaign 'Ola Cabs - A Tap Away', #Projecthers campaign for sanitaryware brand Parryware, Amazon's 'Get More on Amazon', and Cadbury's 'Spread The Joy' campaign. Active Media Innovation and Kinetic Advertising India shared the second spot with a total of four Silvers each for their respective campaigns. Active Media Innovation won the metals for Tata Docomo's 'Tata Docomo 99 Unlimited', NBC Universal (Minion)'s outdoor activation 'The Minion Street', Reliance Digital's 'Boot Up Your Life' (Laptop Fest), and Club Mahindra's 'Experience Kerala Elephant Shower'. Kinetic Advertising was awarded for Cadbury's Bubbly range of chocolates - 'Silk Now Bubbled Up For Joy', and Islahi Healthcare Foundation's OOH campaign 'Free Smokes'. Ecosys OOH won two Silvers for the radio taxi and cab booking service Taxi For Sure's outdoor campaign 'Dynamic OOH'. Other agencies which won a Silver each comprise Interspace Communications, Star Cement, Laqshya Media Group, Jaycee Ads, and Pioneer Publicity Corporation. 'Airtel 4G OOH Challenge', Renault KWID, Cadbury's 'The Joy Bus Stop', 'OYO Rooms @ 999/-', Make Love Not Scars' (the advertiser) entry 'End Acid Sale - Acid Attack', and the outdoor products brand Wildcraft's campaign 'Chill With Wildcraft'. Kinetic Advertising India bagged the second spot in the Bronze metals category, while other winners to win one Bronze each include Active Media Innovation, Interspace Communications, Orienta and Kinetic Advertising India, Laqshya Media Group, Outreach Advertising, Vritti Solutions, and L&T Metro Rail (Hyderabad). Minimax Ads and Madison OOH jointly won a bronze for the campaign Eeny Meeny Miny Moe, Get Ready To Play With Oreo'. Ecosys OOH and Rapport Outdoor Advertising won two Bronze each. 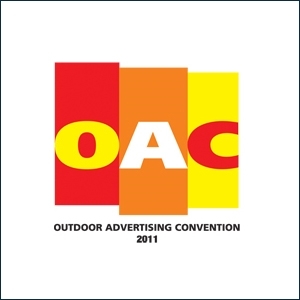 OAC 2009: "Outdoor is not a medium, but an ecosystem in itself"